Gold Melting Furnace - COOLDO ELECTROMECHANICAL EQUIPMENT CO., LTD. Gold Melting Furnace - COOLDO ELECTROMECHANICAL EQUIPMENT CO., LTD.
CDOCAST Gold melting furnace is absolutely inventive design furnaces which is designed with the aim of offering effective melting action on precious metals like platinum, gold, palladium or alloys of these metals. 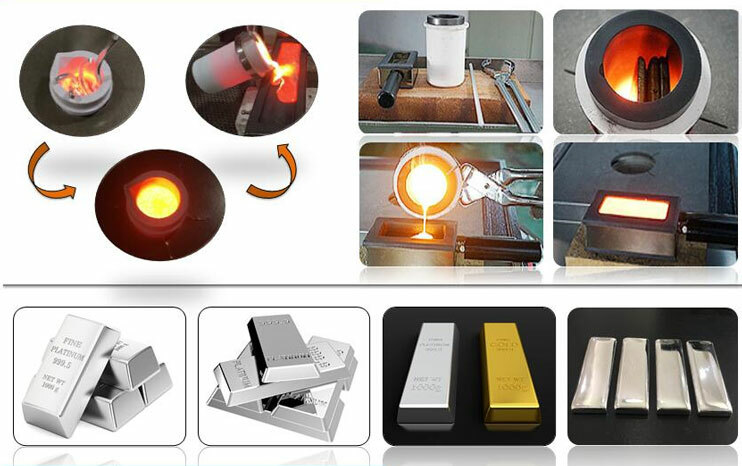 Our small gold melting machine can achieve temperature of 2500 degree within 5 minutes, the Melting crucible can be designed as graphite or quartz crucible depend on different raw material. 2:Come with all-round protection such as overheating, short-circuit, short water..You can be felt confident that employees safety and security. 4:backed by specific features that are tailored to the customer’s individual needs and supplemented, where requested, by any of a wide range of options. 5: stable Operation with Unbelievable melting speed. 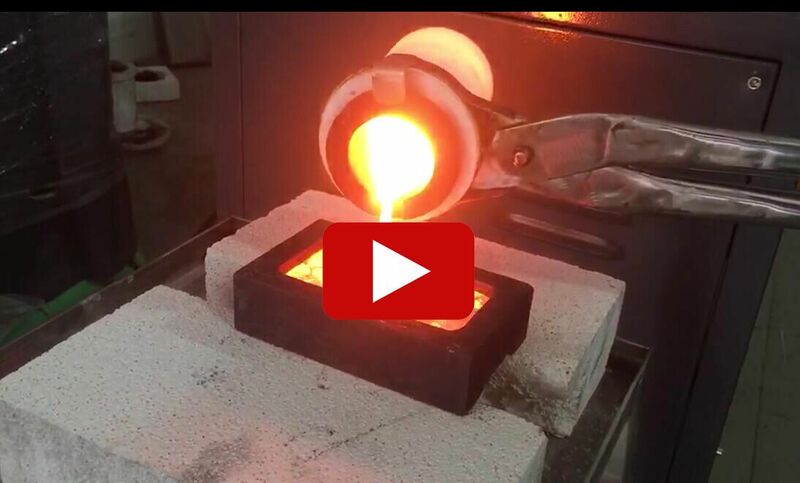 Typical melt times for a full load of material is about 5 minutes for the first melt and 3-5 Minutes for subsequent melts. Obviously, all CDOCAST small induction melting system are specifically designed to fulfill all appropriate legal demands, safety codes and relevant client requirements, including energetic , sound protection as well as dust emission control policies. This furnace is just the machine you need to boost your production and overall efficiency. We owe it to each of our customers, CDOCAST adopt world famous brand components to improve our machine working performance. 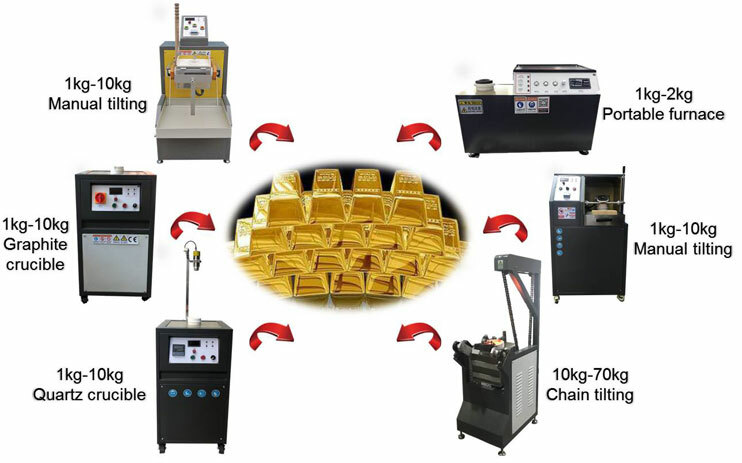 CDOCAST launched a new gold Smelter which is manual tilting, This small coreless induction melting furnaces capable of melting ferrous, non-ferrous, precious metals…..
Gold Vacuum casting machine is designed for those ingot casting of gold, silve or other precious metal on basis of the customized mould…….